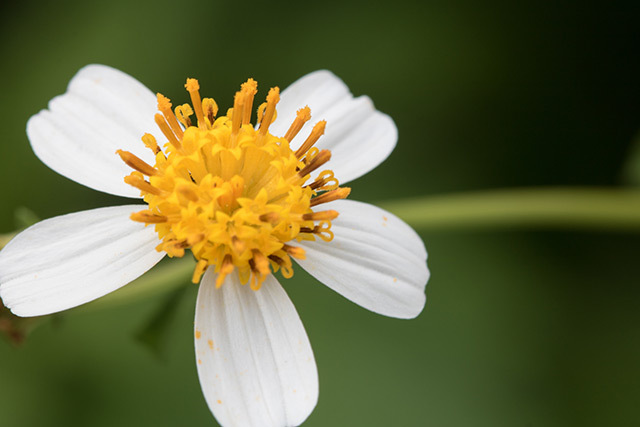 (Natural News) A study published in Allelopathy Journal has found that compounds from three Baccharis species can be used as natural herbicides against the blackjack (Bidens pilosa), a weed found in many parts of the world. This finding offers both gardeners and organic farmers a viable method to control the invasive B. pilosa. Allelopathy is the process wherein one plant releases chemicals that inhibit the growth of other plants in its immediate vicinity. A good example of this is how the walnut tree produces juglone, a compound that inhibits the growth and development of other plant species in its immediate surroundings. Allelopathy plays an important role in maintaining both diversity and harmony among plant species in a specific area. However, allelopathy may also contribute to the explosive reproductive potential of invasive plant species. When new species are introduced to an area, whether on purpose or by accident, the compounds they produce may have an adverse effect on native species, suppressing the latter and providing the former with an advantage. A good example of this is the B. pilosa. Found in various parts of the world, it is known by many names, including blackjack, cobbler’s peg, Spanish needle, and others. Aside from being extremely hardy and having the ability to thrive in practically any environment, it possesses strong allelopathic effects against native species in areas it invades. Its effects are nothing minor either. It is known as a noxious weed in Africa. In Argentina, an increase in its density caused reductions in soybean yield, with one blackjack plant resulting in a yield loss of 9.4 percent. An increase in density of more than eight weeds lost farms up to 43 percent of their yield. The authors of the study wanted to ascertain if the aqueous and ethanolic extracts from Baccharis dentata, Baccharis uncinella, and Baccharis anomala – three shrubs native to the North American continent – could inhibit the growth of blackjack. They also determined the effects of these extracts on the growth of lettuce (Lactuca sativa). Interestingly, all of these plants belong to Asteraceae, the aster family. They tested the extracts on the two plants at concentrations of 2.5, 5, 7.5, and 10 percent. Compared to lettuce, blackjack was more sensitive to the extracts, the researchers found. In fact, the aqueous extracts of both B. anomala and B. uncinella, at 10 percent concentration, reduced the germination of blackjack by 80 percent. At concentrations ranging from 2.5 to 10 percent, the ethanolic extracts of both plant species effectively caused 100 percent mortality of blackjack seedlings. The researchers analyzed the phenolic content of the three Baccharis species and found an abundance of catechin in both aqueous and ethanolic extracts. Aqueous extracts were found to have more phenols than ethanolic extracts. The authors concluded that certain species in genus Baccharis be used as a natural herbicide against blackjack, with B. uncinella having the most potent effect of the three that were tested. Learn about how plants interact with one another at Ecology.news.